Spotted this when I was in Singapore recently. Made me guffaw out loud on the street (to the alarm of quite a few locals!). For you none Brits 'Pikey' is a derogatory British slang term for a low class citizen, usually living a gypsy life and often into petty theft and larceny. Once they get settled in a permanent dwelling (usually on a council estate) they upgrade to 'Chav'. 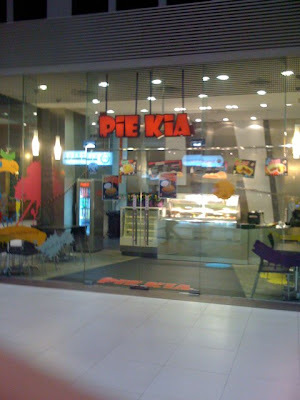 Pie Kia is a pun on "bad kid" in Hokkien, the primary Singaporean Chinese dialect. "Pie" sounds like "bad", and kia means boy/kid. "Pai kia" also means "gangster".